THE State of Origin shield is lost, and the Cowboys' finals hopes are almost extinct. But Cowboys youngster Coen Hess has vowed to use his "freshen up" in Maroons camp as a spur to ensure Johnathan Thurston enjoys a few wins before he retires at the end of the season. Hess and Maroons teammate Gavin Cooper will turn their attention to kickstarting North Queensland's flailing season after the Blues claimed their first Origin series win since 2014 with an 18-14 victory on Sunday. The Cowboys, 13th with just four wins from 15 games, face a nightmare month with Sunday's clash against premiership favourites Souths in Cairns followed by Canberra (away) and St George Illawarra (home). 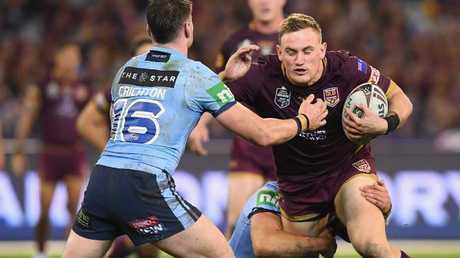 But rather than kick stones, Hess believes the change of scenery playing for Queensland can help him rediscover the form which won him his maiden Maroon jerseys last year. 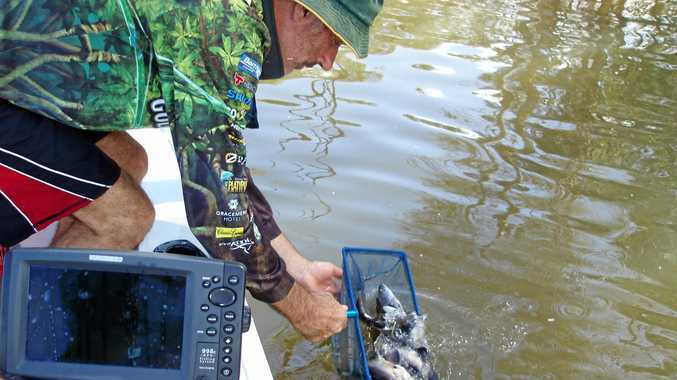 "The opportunity to go away into camp lets you put your mind at ease a bit from clubland," Hess said. "Obviously we've been doing it pretty tough at the moment with the Cowboys, but it's good to get away and rejuvenating to let my mind freshen up. 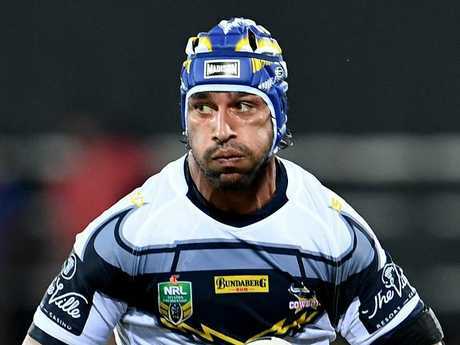 Johnathan Thurston will retire at season's end. "I've only got about 10 more games with Johnno (Thurston) left, so I want to make the most of that." Hess conceded Queensland were guilty of being impatient and overplaying their hand when Blues centre James Roberts was sin-binned with around 12 minutes left. The Maroons took several poor options during that period, which attracted a scathing review from Thurston commentating on Channel Nine. "When Roberts got sent off we thought deep down we were going to win, but obviously that wasn't the case," he said. "There was a couple of crucial moments there where we didn't come up with the right option, which hurt us in the end. "I'm sure everyone has a play they wish they can redo, but we just have to take it on the chin." He believes it is unfair to lay the blame solely on under siege Queensland halfback Ben Hunt, who has come under savage criticism for some bad decisions. "It's not just one player, there's 17 that take the field and have a part in the team," Hess said. "Especially playing halfback, he comes under the microscope a lot more than some other players, but as a playing group he's got our full support, 100 per cent." After playing 31 minutes off the bench in Origin I, the 21-year-old received just 17 minutes in the second half on Sunday. "Kevvie (Walters, Queensland coach) told me I'd be having just the one stint after half-time before the game, which helped me a bit just to get my head around that," Hess said. "It can be pretty tough coming on after half-time and everyone's got a feel for the game and can understand how fast it's going. "I think I did a reasonable job and did what I had to do. It's pretty hard coming on in the second half, but if that's my job for Queensland I'll try and do that the best I can."